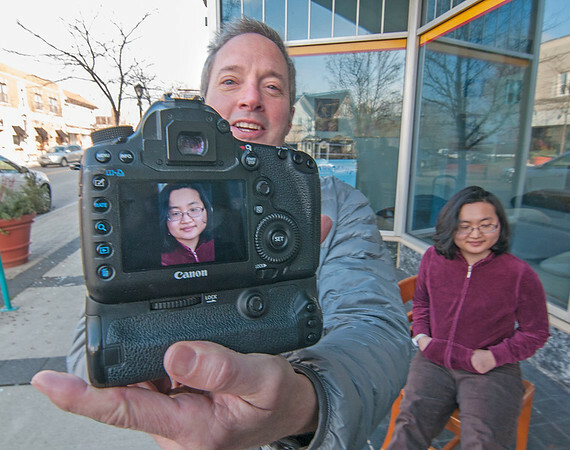 Niagara Falls, NY - Former fashion photographer Rick Guidotti, founder and director of Positive Exposure, shows off a portrait of Nan Boone at Rivershore Inc. on 3rd Street. For the last 15 years Rick Guidotti’s passion has been to show the humanity and beauty of people living with genetic, physical, cognitive, and behavioral differences. His work provides new opportunities to see individuals living with a genetic difference first and foremost as a human being with his/her own challenges rather than as a specific diagnosis/disease entity.